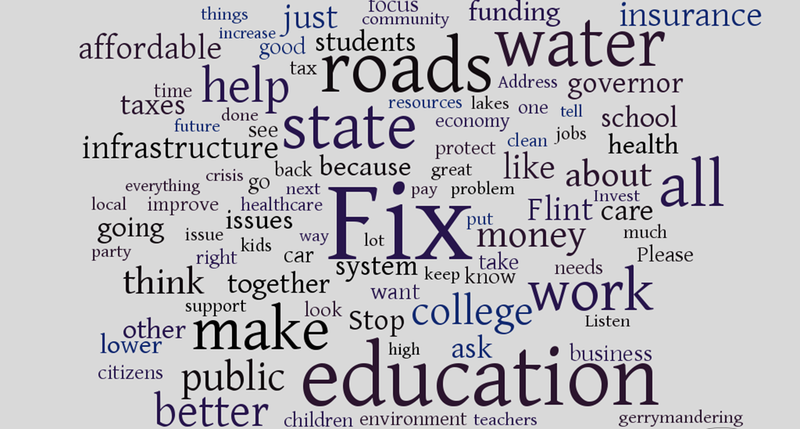 If you had 5 minutes with Michigan’s next governor, what would be the one thing you ask that leader to do? Over 2,000 residents answered that question, and here’s what you said! 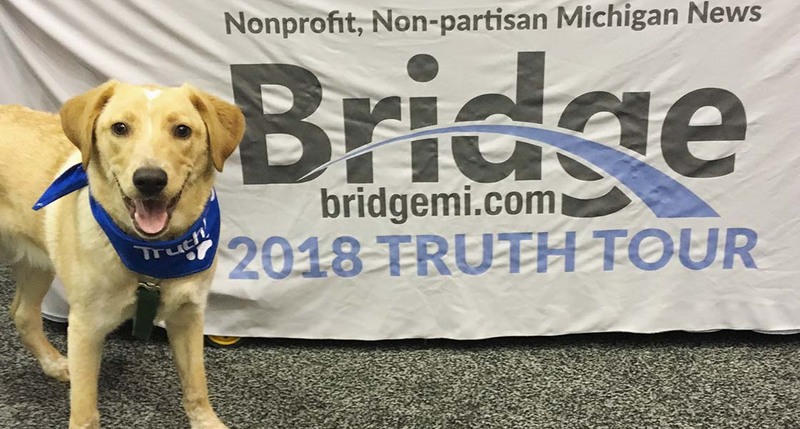 Truth Dog loves people even more than he loves watchdogging Michigan politics! 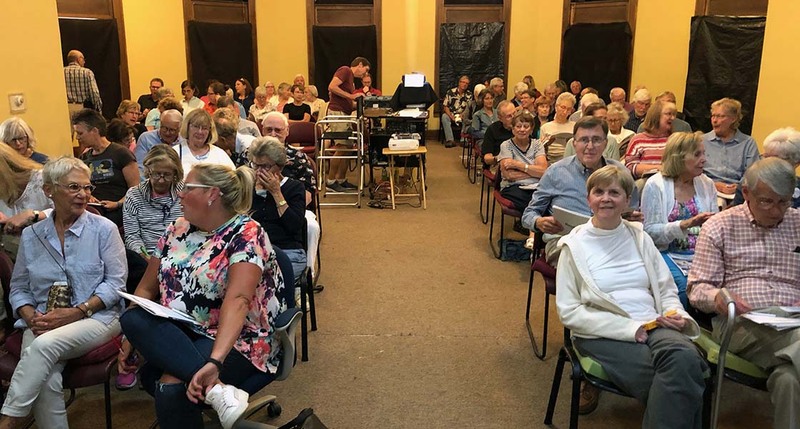 Petoskey area residents pack the room to watch Michigan Divided. Hitting the road has some perks! 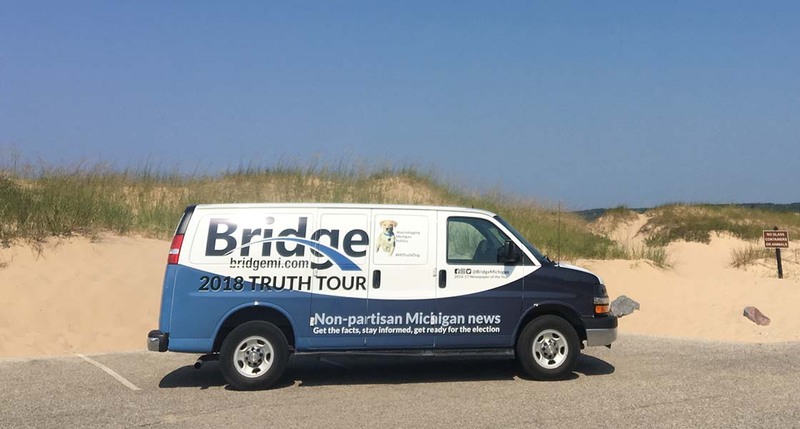 The Truth Van took a quick break to enjoy the view of Lake Michigan. Who doesn’t love sitting by the dunes? 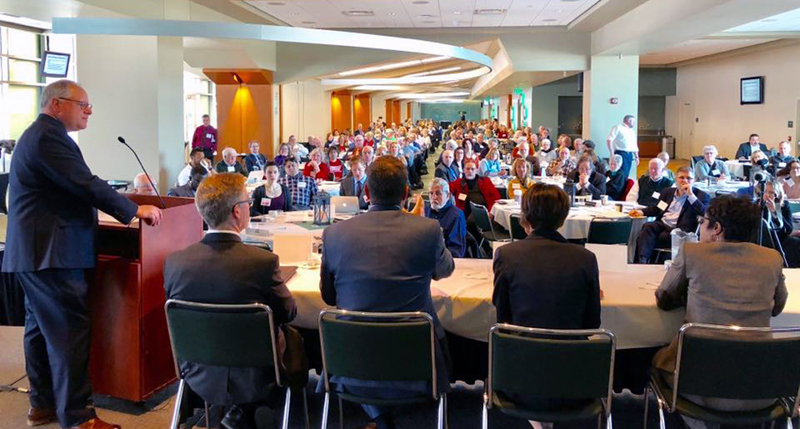 Hundreds of Michigan citizens gather at the Huntington Club in Lansing for panel discussions with state leaders and policy experts on how to improve the state. 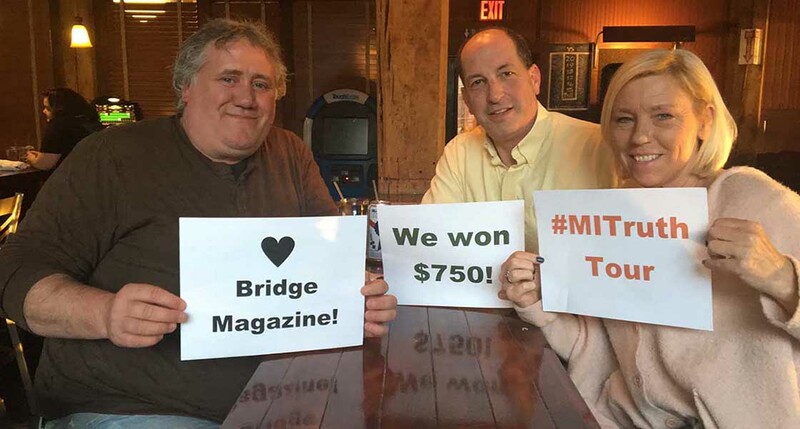 Winners of the West Michigan trivia championship celebrate their success. 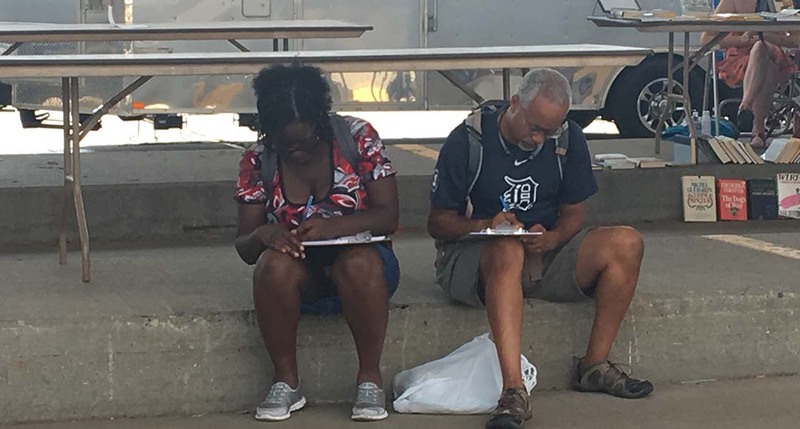 Hosted in partnership with Sporcle Live!, over 1,000 residents competed in Michigan-centric trivia across the east and west sides of the state. 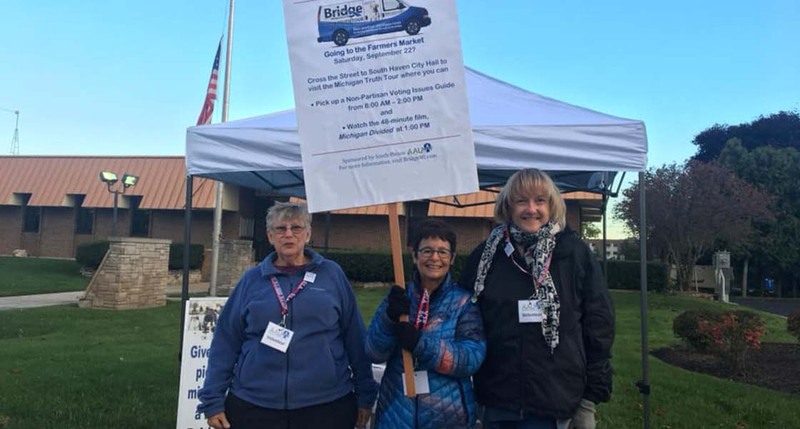 Dedicated members of the South Haven chapter of the Association of American University Women advertise the Truth Tour at their local farmers market. 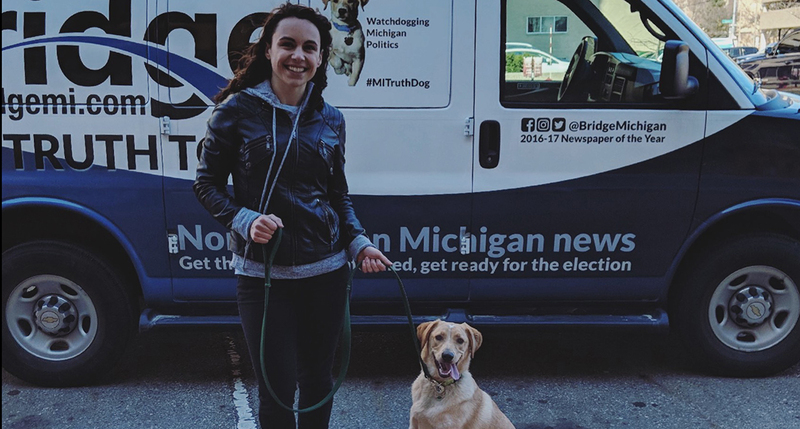 Outreach Coordinator Alexandra Schmidt kicks off the Truth Tour in Lansing with the every trusty Truth Dog. 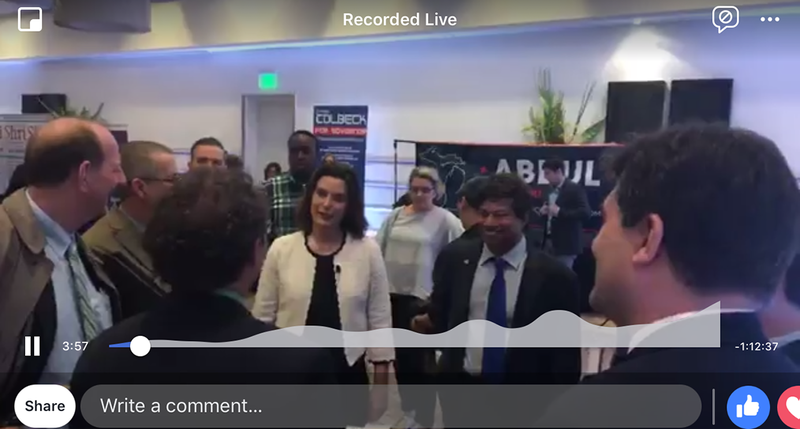 A Bridge Magazine facebook live captures all 6 gubernatorial primary candidates gathering at the Michigan Press Association’s annual conference for their first debate. 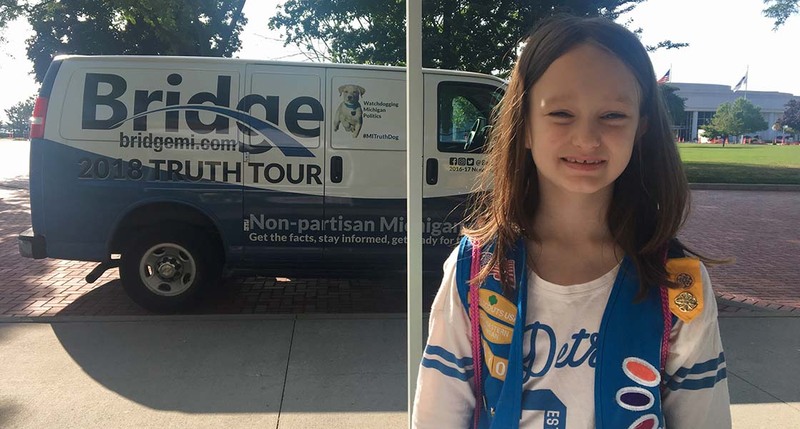 In politically divisive times, Truth Dog travelled the state to bring joy to fans everywhere. Here he plays with a fan in St. Ignace. Michigan residents attending the Detroit Book Festival make their voices heard through our 60 Second Sound Off. 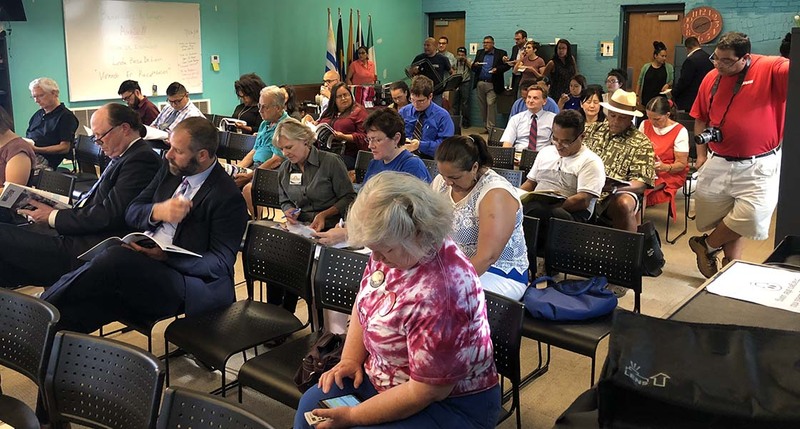 Attendees of the Latino Community Candidate coalition pour over their Michigan Facts and Issues guide during their Great Place to Live town hall. Have a need for speed? 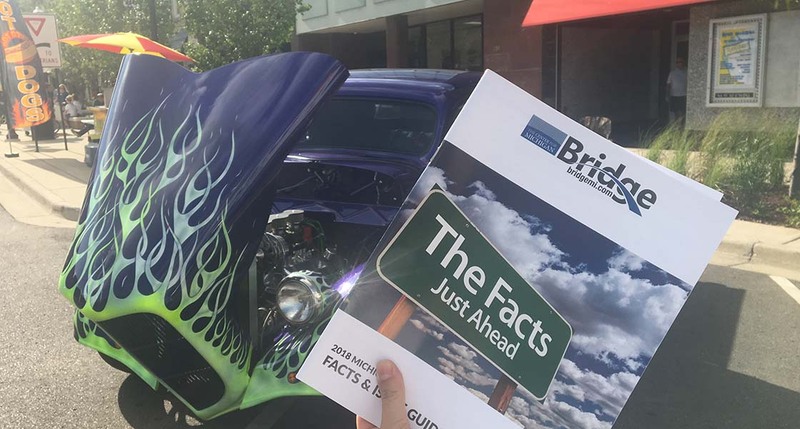 Good thing we’ve got the fastest facts in our Facts and Issue Guide! 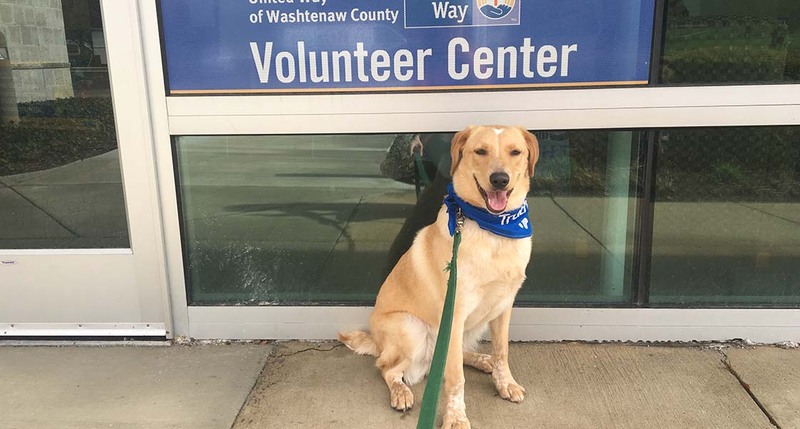 From Charlevoix to South Haven, our trusty tent made citizenship accessible everywhere. 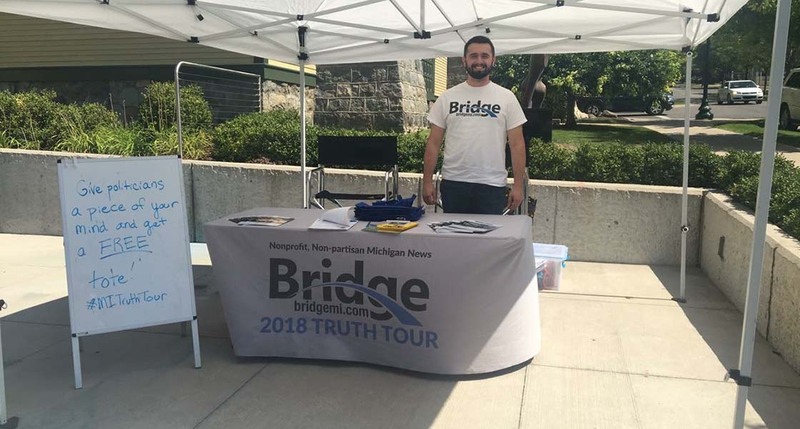 Here, outreach consultant Scott Gillespie greets residents in Petoskey to our mobile citizenship station. 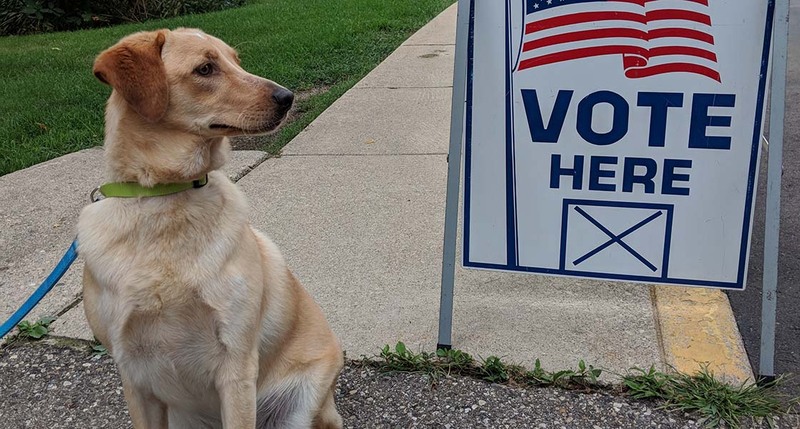 Truth Dog is too young to vote, but Michigan voters still turned out in record numbers. Hurrah for engaged citizens! 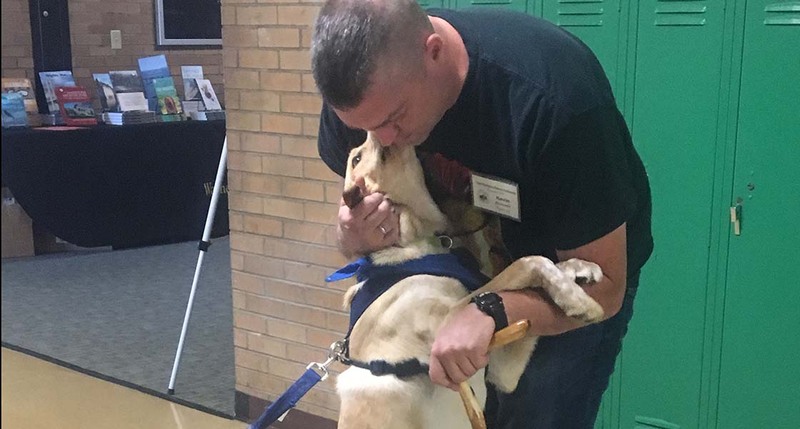 Truth Dog couldn’t be more proud. 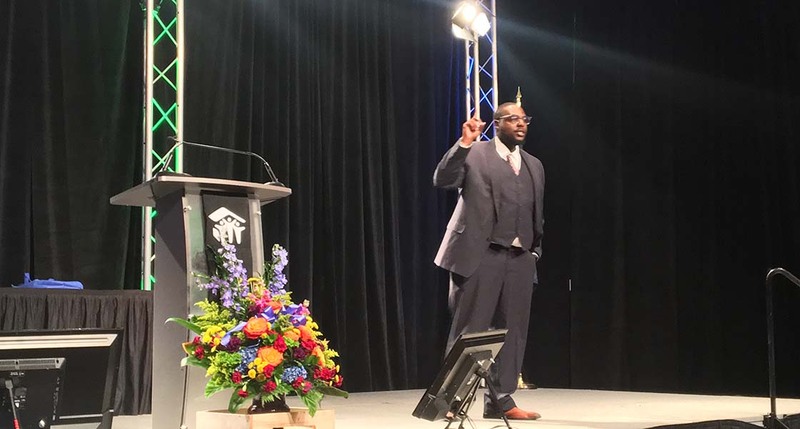 Outreach Coordinator Dwayne Barnes facilitates a conversation at Habitat for Humanity’s Lansing conference. Anywhere can be a playground if you try! I learn new things everyday even as a geezer.